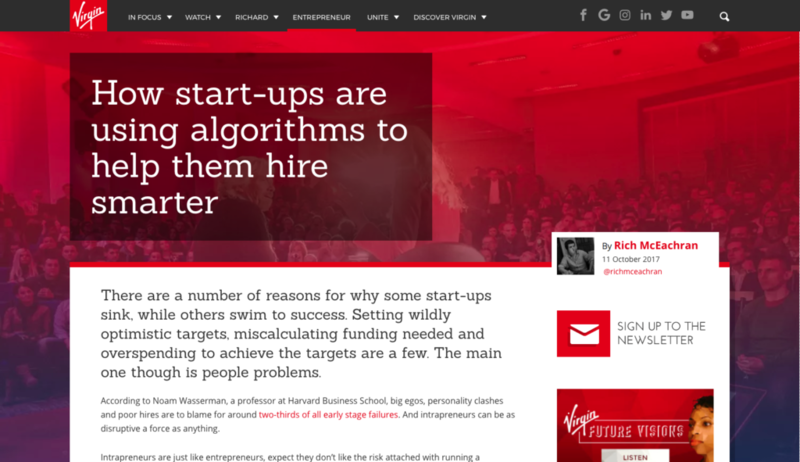 In his article “How start-ups are using algorithms to help them hire smarter” on Virgin Entrepreneur, Rich McEachran discusses how various startups use algorithms to support human resources activities. “Past thinking tends to be reflective and is concerned with gathering data and drawing up conclusions. Present thinking is focused on observing the here-and-now. Future thinking is about considering outcomes and identifying opportunities for change.